Check for additions and updates to these release notes. When the release notes are updated with breaking changes, the newest changes appear at the top of the list. 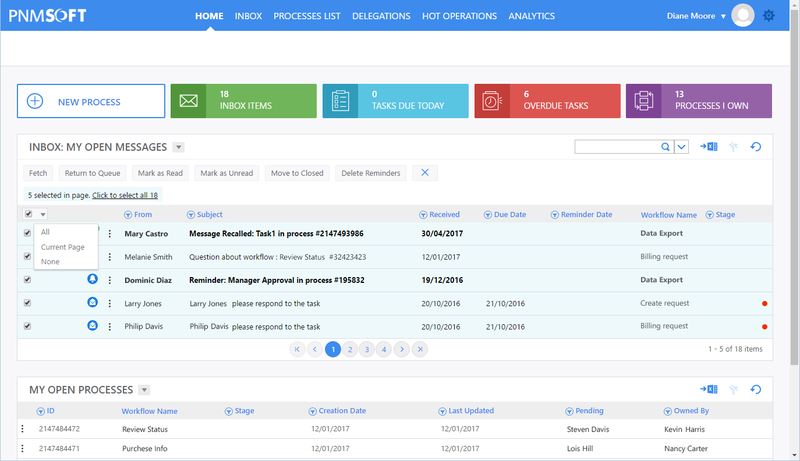 PNMsoft Cora SeQuence is an Intelligent Business Process Management Suite (iBPMS) that facilitates rapid build and change of high availability, mobile-enabled workflow applications. Cora SeQuence is built on HotChange technology, an architecture that enables organizations to modify, integrate, and distribute business processes with zero downtime in the production environment. 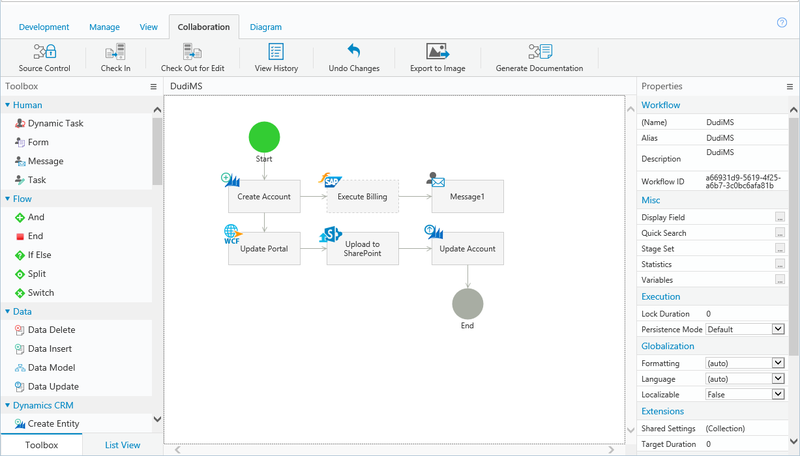 Business users and developers can seamlessly design and execute workflows on a single canvas using Dual View. Cora SeQuence is a low-code platform that also supports advanced development capabilities. Cora SeQuence 8.3 facilitates broader integration capabilities, brand new analytics and dashboards to manage and gain insight into your environment, and role-based workflow security assignments. This version also delivers a smoother user experience, enabling developers, administrators, and business users to seamlessly navigate and use Cora SeQuence. Role-based workflow security permissions: Control access and visibility to workflow steps and data based on predefined roles, or custom roles that you create. You assign users and groups to workflow security roles on the workflow-space level. The Sharing Activity enables developers to isolate instance visibility, sharing the workflow instance based on data that is collected in the instance. For more information, see Workflow Security Roles. Note: If you upgrade from a previous version, you can convert to the role-based permission model using the link in the workflow space dashboard. 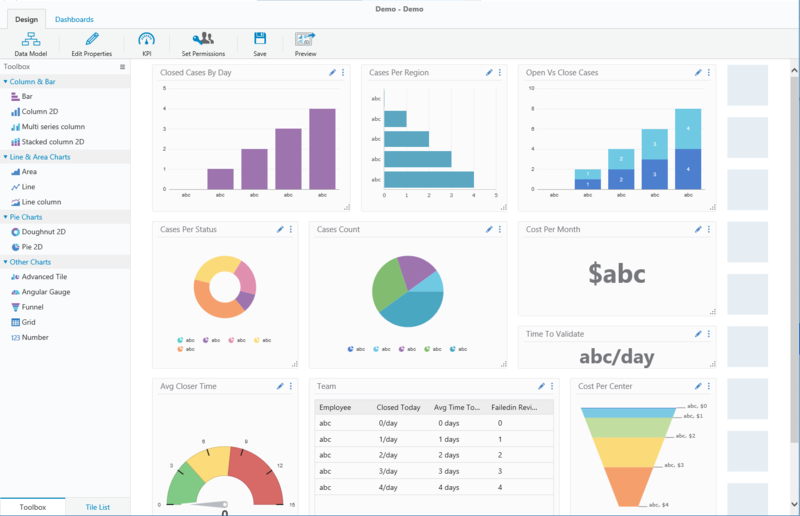 Redesigned analytics and dashboards: The new Analytics feature provides developers with a powerful, yet easy to design and consume, tool that enables greater insight into the data of the solutions they build. The new analytics dashboard is built using a Cora SeQuence Data Model, which grants developers the freedom to define the logic and the source for the data that displays in the charts. The Analytics enables displaying data from different sources such as tables, stored procedures, and services. The dashboard is immediately available in the Flowtime portal. You can assign permissions to Analytics dashboards and control visibility and access to them, and assign them to end users based on organizational role requirements. For more information, see Analytics Overview. Language Support for Flowtime: Users can select the Flowtime display language. 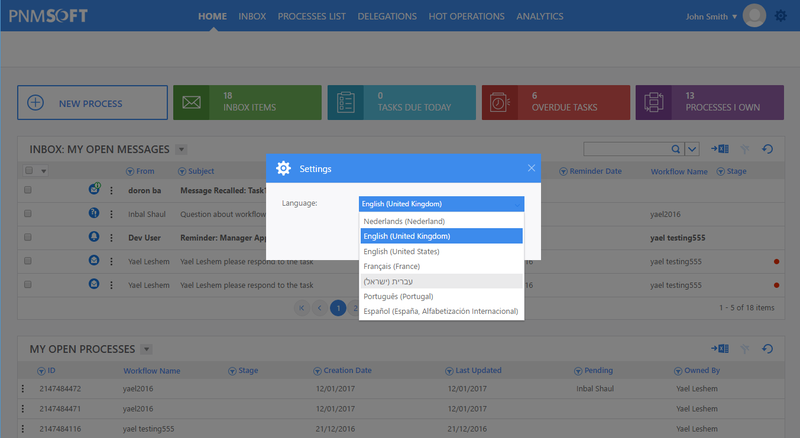 Extend usability across organizational geographies by enabling local sites to navigate in their native language. HTTP Consumer Activity: This activity enables developers to consume any publicly exposed HTTP endpoint as part of a workflow. Generally, the activity consumes an API endpoint, but it is not limited to API endpoints. For more information, see HTTP Consumer Activity Overview. String Expression Directives: String expression directives are a collection of directives that control the output of a string expression. This release has the following string expression directives. For more information, see String Expression Directives. Redirect Workflow Command: In some cases, a workflow instance is in pending status or idle status, and does not resume execution. This command forces a redirect on a workflow instance using the Built-In Command Activity. New request types in the Execute Request Activity for SharePoint: There are two new request types, which enable users to send list item information, and return document or file items in a workflow step. Batch edit Grids: Cora SeQuence now supports batch editing grids. Attachments are not supported in batch edit. See the documentation for additional limitations. Define user that executes sub-workflow: Developers can define the user that executes a sub-workflow, enabling greater flexibility in workflow execution. Use the Run as property to define a user. Cora SeQuence Instance Objects id was updated from int to big-int (long): This enables higher transaction volume in the Cora SeQuence engine. Cora SeQuence installation now supports up to 264 instances. The Workflow Instance, Activity Instance, and Action Items ID properties were modified in the database and the API to reflect the update. For more about issues and limitations, see Int to Long Issues. Important: If you wrote custom code against the API, you need to update the code. If you wrote database code that uses the id field with direct assignment to int, you must update the database code. Flowtime display language after upgrade: In previous versions, you could only select a display language for the entire Flowtime portal. In this version, when you select a display language, it applies to all Cora SeQuence components (Administration, Flowtime, ProcessTOGO). When you upgrade from a previous version, the language reverts back to the user's language. Fixed message body: We removed the <br> tag from the message body. Request/response persists for failed activity: When an Integration Activity fails to execute, the request or response persists (if generated). SSRS analytics: Cora SeQuence no longer supports SSRS-based analytics. Obfuscation method in SAP connection: We changed the obfuscation method in the SAP connection. You need to recreate existing SAP connections. New mode for Attachment field: We added the Internal mode for Attachments. Use this mode when you need to access an attachment from a different workflow instance. The AttachmentInfo class has changed as a result. Execute plan: You can execute a plan through the Built-In Command Activity for each master workflow instance using the Masterworkflowid parameter. Rebex update: This release includes the latest Rebex version, which includes enhancements to wildcard certificates. Rebex is used in the Email Listener activity. Calendar recurrence pattern: Administrators can define the recurrence pattern for business calendars on a yearly basis. Workflow import: When you import a workflow, you can immediately open the workflow after the import procedure succeeds. This reduces the time it takes for you to access and work on the imported workflow. Rename solution: You can now rename a solution. View workflow variables: You can now view workflow variables in the Process Lab, directly from the property window. Snippet functionality: You can now add Snippets to radio buttons and check boxes. Throw an error exception: You can configure a Data Insert Activity or Data Update Activity to throw an error exception when the activity fails to calculate the expression for the data source, and returns a null value. You can select this configuration from the Property panel for the activity. Item selection in Flowtime Inbox: Flowtime Inbox grid now includes an enhanced selection option. You have the ability to select individual items, all items on a page, or all inbox items. In-Process Consumer: You can now include an In-Process Consumer in the Form Service List, which enables you to define logic around data retrieval. Disabled activities visibility: Activities set to disabled have a dashed border. Easily identify disabled activities, which is especially helpful in complex workflows. We are happy to announce the release of our public Knowledge Center and Community, and encourage you to visit on a regular basis to learn about Cora SeQuence, post questions and answers, and contribute to our growth! Check out the PNMsoft Knowledge Center (kb.pnmsoft.com). These instructions are for a new Cora SeQuence installation. If you are upgrading to Cora SeQuence 8.3 from a previous version, see the Upgrade instructions. Download the installation files from the Download Center. For detailed information about installing Cora SeQuence, including software and hardware requirements, see the Cora SeQuence 8.x Installation Guide. The installation wizard prompts you to install Flowtime, the non-SharePoint runtime website. For the SharePoint-based Flowtime, refer to the SharePoint App Installation & Configuration Guide. If you are upgrading from a version earlier than 7.10.5, you must first upgrade to version 7.10.5. For more information see the Cora SeQuence 7.10.4 Release Notes, and the 7.10.5 Update Readme. If you are use scripts to update your database, use the scripts in the Upgrade folder. Verify that you have one of the supported Cora SeQuence versions installed on your server. Backup the configuration files and your database. Use the IISReset command-line utility to reset the IIS. Stop the Cora SeQuence Windows services. Prepare the Cora SeQuence database. Remove custom indexes from UACT and UWF tables. Find custom indexes, save a create script for them, and then drop the indexes. You can re-add the indexes after you complete the upgrade operation. We recommend that you upgrade the database with scripts before upgrading the application. Download and unzip the Sequence 8.3.0 DB Scripts.zip file. Execute the scripts in the Upgrade folder, in this order. Unzip the Sequence 8.3.0 Setup.zip file. Run the Sequence 8.3.0 Setup.exe file as an administrator. If SharePoint FlowTime is already installed on the server, it is indicated separately as SharePoint Flowtime Portal. If you have non-SharePoint Flowtime installed, you need to remove this installation and remove the installation folders, then install FlowTime Website. Start the Cora SeQuence Windows services. The features in this list are available in v8.3, but will not be supported in the next major release.